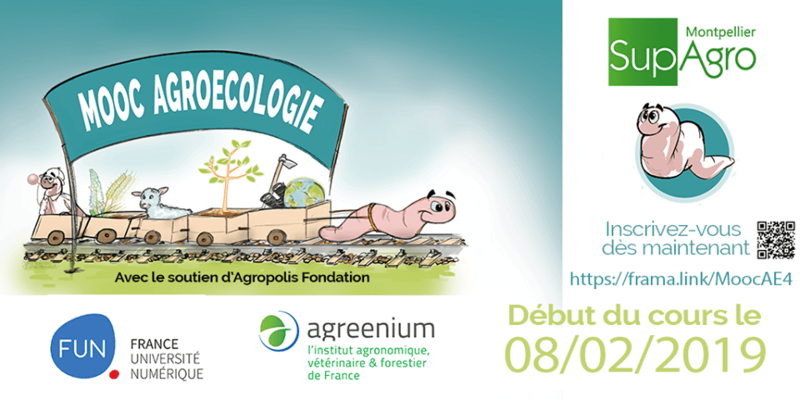 The next session of the Agroecology MOOC will begin on February 8, 2019 for a duration of 6 weeks. This is an massive open online course, free, which brings together several thousand participants from all around the world in each session. It is based on the scientific skills and pedagogical know-how of Montpellier SupAgro and its Agreenium partners.